So, some of you might be wondering where I’ve been lately. Sorry, I kind of fell off the blog wagon. I’m in the process of moving into a new apartment, and with Christmas next week, well, I have little time to even think about blogging, let along make anything other than quick meals that require little to no recipe or preparation. I did get to show off my new apartment to friends, though. I kind of feel bad that Lauren had to make this pizza with me and didn’t get to experience the new kitchen table we just got. (Thank you L+C for helping us with the kitchen table!) She came over to visit and we actually agreed on what to eat in less than five minutes. 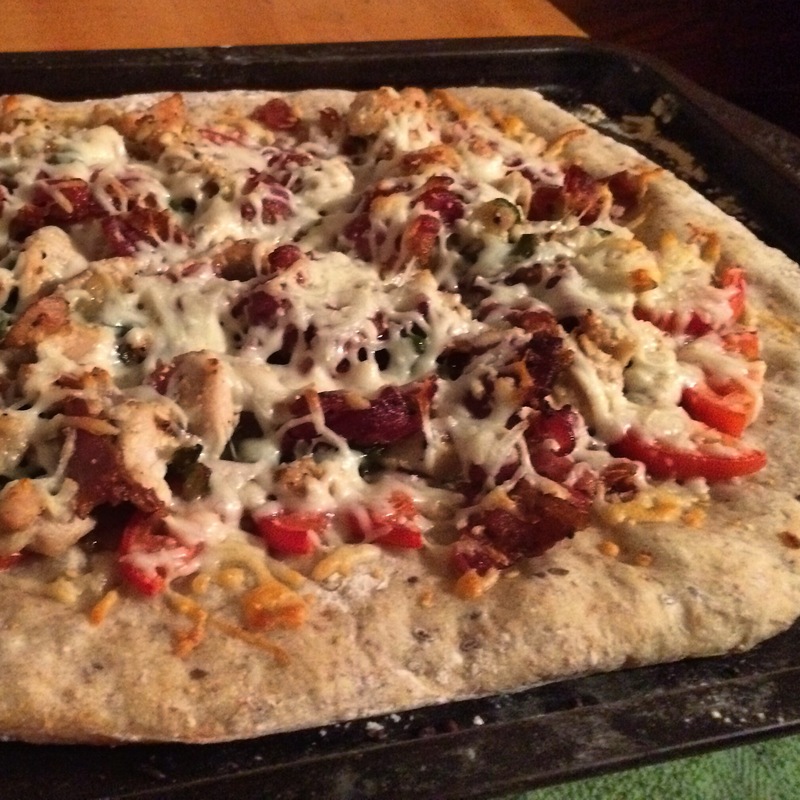 We had chicken, bacon, and veggies, so what else to make than pizza? Super easy, super yummy, and with half my kitchen in boxes, it was actually the perfect thing to make. I promise, I’ll start sharing my life again with you soon. I have so much to tell you about: photo booths, cleaning out my closet, the move, Christmas, our Charlie Brown Christmas tree. Ahhh, so much, so little time.